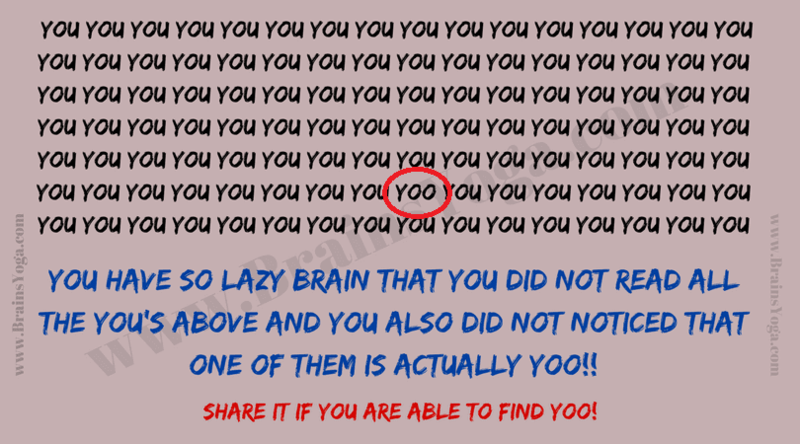 Is your brain lazy? If the answer of this question is NO, then you should take this Lazy Brain Test. This Puzzle Test will prove that your brain is lazy. 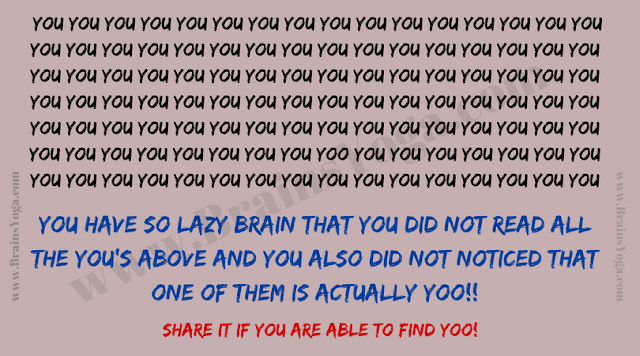 Lets see if you can prove that your brain is very active or is not lazy!!! 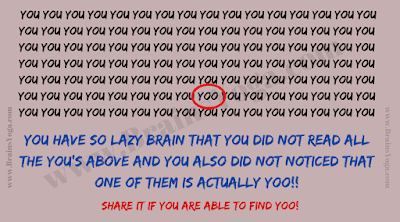 Can you read this correctly in your first attempt?